Owning a small business has never been easy. But over the last five years, things have changed DRASTICALLY AND PERMANENTLY. If you do not ADAPT QUICKLY, you may struggle to be in business in the next five. I will repeat that. If you do not ADAPT, QUICKLY, you may STRUGGLE TO BE IN BUSINESS IN FIVE YEARS. What do I mean? 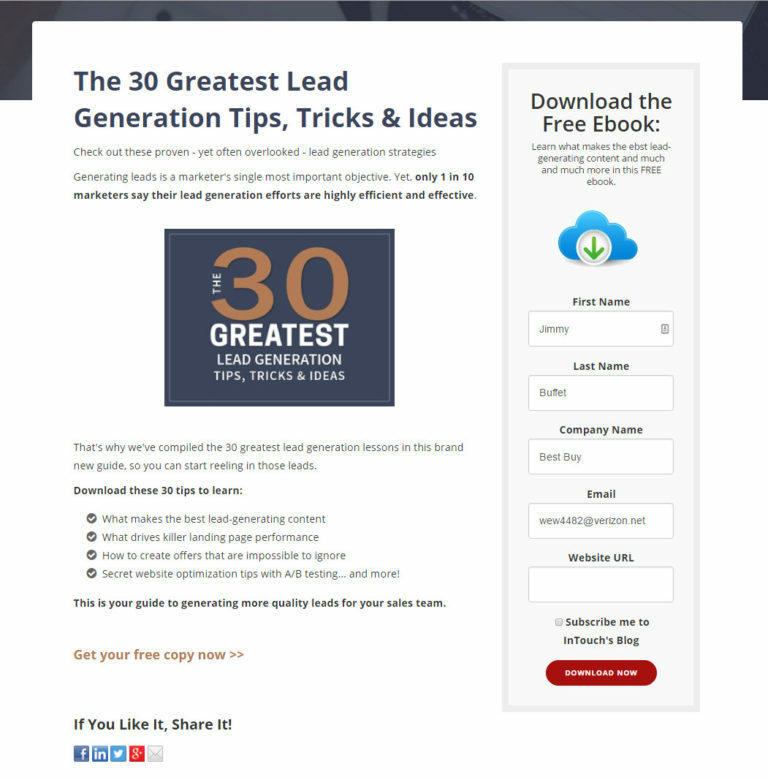 Strategies that generated leads for your business a few years ago have now stopped working. Unfortunately, many business owners haven't looked up from their day-to-day operations to notice. Or if they have noticed, they don't know what to do about it. So, what has changed? In our article, 5 sales strategy tips for successful selling in 2018, we discussed how the power used to be with company marketing and their salespeople. But when technology, the internet and social media entered the picture, the power shifted to the buyer. With more power at their fingertips than ever before, buyers could now do their own research. They didn't need company marketing efforts (brochures, mailers, ads, etc.) or salespeople to find solutions to their problems anymore. They could research their own solutions, look up technical specifications, compare pricing, find out how to implement new systems and and see reviews on products, services and suppliers. This major shift has created a need for businesses to embrace a new way of marketing...INBOUND MARKETING. Much of the research for buying decisions is now done early in the buying process ONLINE, before ever speaking with a company representative. People don’t respond to cold calls anymore, and direct mail has become so ubiquitous, that many people sort their mail over the recycle bin. I know I do. Many companies who are still using these techniques are finding they don't work as well as they did before. This online shift has already happened and if you haven’t made the transition, you risk being out of business soon. Or if you are still in business, you will be struggling to get by. It is important to understand that inbound marketing isn’t easy. For businesses that consider inbound as a strategy, THE FIRST REALIZATION is that it requires mastery of a variety of different marketing tactics including content development, search engine optimization (SEO), social media, lead generation, lead management, and business analytics. Can this be done as a do-it-yourself project by a small business owner, or small in-house marketing team? With enough time and money, the answer is yes. But for most companies, hiring a marketing agency will be required. Learn Why Here. When implementing an inbound marketing strategy, it is important to go through the following steps. This is the first step before you ever discuss tactics or implementation. The process begins with an honest assessment of your current business model, current marketing tactics and most importantly your future objectives. What type of sales increase am I looking for? How much budget can I realistically afford to develop the strategy? Which of my current marketing techniques are working, if any? Can my business realistically handle an increase in sales? Am I and my staff willing to spend the time required to participate in marketing activities? What ROI am I looking to achieve for the investment of time and money? This process begins with developing a picture of your ideal customer(s) through the development of what is known as a Buyer Persona. A buyer persona is a semi-fictional representation of your ideal customers, based on real data about customer demographics and online behavior, along with speculation about their personal histories, motivations, and concerns. Once you have a picture of your ideal clients and where they hang out online, you can begin to determine which tactics will resonate best with your core audience, whether its SEO, Social Media or content marketing, or a combination of all of the above. The buyer persona should be the lens through which you evaluate all of your strategic options and select those that give you the best opportunity to reach your target audience. Your company website is the hub through which all of your online marketing activities will flow. Remember that visitors are coming to your website because they are looking for a product or service that is a solution to a problem they have. So, it is extremely important that your website has messaging that resonates with your target customer. 1. It will let your visitors know that you understand their problem or challenge and provide a clear picture about the solutions that you provide. When a new visitor hits your site, you only have about 3 to 6 seconds to make an impression. The messaging on your site and supporting visuals must communicate quickly and clearly what you do, and that you are capable of solving their problem. HubSpot has a great article about home page design. 2. 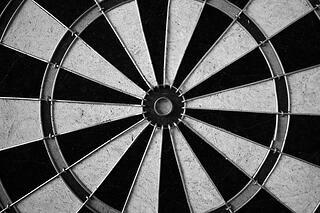 Your website should be customer centric, not company centric! Too many businesses make the mistake of trying to showcase everything they do and design the website around the premise of, “look how good we are.” I have news for you, no one cares! Especially at this stage when a customer is visiting your website for the first time. Your website must be designed to address the issues your buyer personas have. Not a nice fancy brochure that offers no real value! 3. Your site should have a corporate blog that continually is filled with new, useful and free content that is updated on a regular basis. Blogging, when done consistently is a key source of traffic generation for your website. With each new entry on your blog, you provide an opportunity for your prospects to find you, find a solution to a problem and subsequently learn about the solutions that your company provides. How does your website look? Is it time for a redesign? If you don’t know or are unsure, READ THIS . Once you have your website designed and optimized and your blog being updated with new information on a regular basis, it is important to utilize additional traffic generation tactics. This is where SEO, social media marketing and pay-per-click marketing have their place. But, which tactic should you use? The answer will depend on factors such as your goals, budget and ultimately on the buyer persona(s) that you developed for your business. One, or a combination of all of these tactics may make sense for your particular situation. More traffic to your website or corporate blog means an increased chance of attracting your ideal client and converting them into a lead. Here is an example of an offer with a form to capture their information. This step requires the development of premium content in the form of case studies, white papers, ebooks and buyers’ guides that require a prospect to provide information in order to access. Landing pages with contact forms are required to access your high quality content, and ultimately convert a visitor into a lead. Information such as name, company, an email address and/or a phone number are typically required to download offers. This is how your convert a visitor into a lead. It is important to keep in mind not to ask for too much information. If you do this, you could turn off your potential lead. You must remember that inbound marketing is not a hard sell tactic. You are trying to establish credibility and trust at this point in the process. At this stage, the only contact information we typically ask for is an email. Why? Because they are still in the research phase. They are usually not ready to do business with you yet. The final step in your sales funnel is to nurture your leads and convert them into sales. Lead nurturing is a critical part of a marketer’s job, especially in the B2B space. Lead nurturing is the process of developing relationships with buyers at every stage of the sales process, and through every step of the buyer's journey. It focuses marketing and communication efforts on listening to the needs of prospects, and providing the information and answers they need. Different tactics, predominantly email marketing and lead nurturing are used in this step of the process. Marketing automation, social media publishing, paid retargeting and additional marketing tools can also be used in the process. If your sales process is sound, your sales team will have qualified sales leads that will ultimately convert into sales. Analytical tools are required to measure each step of the process to determine the effectiveness of your inbound marketing process. Key performance indicators (KPIs) are business metrics that help small business owners keep track of goals and objectives and allow them and their marketing team to determine if their marketing tactics are working. Utilizing a tool like HubSpot can help track your KPIs and show you what’s working and what needs to be tweaked. If you need help staying on top of your KPIs, we have written a few blog articles that can help. Hiring a marketing agency vs. hiring internal staff and 5 reasons to use retainer agreements. Both of these articles will help you when you feel like you just can't do it on your own time. Like it or not, inbound marketing is here to stay. If your lead generation and sales growth are stagnant, it may be time to take a look at an inbound marketing agency to jump start your business.